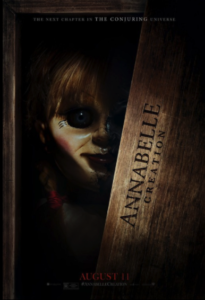 About midway through Annabelle: Creation, a young orphan girl named Janice enters a forbidden room in the elaborate, isolated country house that now serves as an orphanage. Owned by an older married couple who lost their daughter years earlier, the place comes haunted-house-complete with creaky floorboards, locked doors, shadows in every corner, an eerie record player, and mysterious sounds at night. Janice investigates one of those sounds and finds the ghost of the owners’ late daughter looking out the window, tapping at the glass. The apparition speaks: “Will you help me?” Janice, all too accommodating, replies, “What do you need?” The girl turns, but her child’s face has been replaced with a hellish, horned demon with yellow eyes. “Your soul!” the creature howls. Meanwhile, the audience in my screening, rather than react as intended by this jump-scare, bursts into unintended laughter. 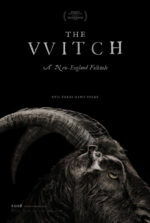 Twelve years after a prologue in which doll-maker Samuel Mullins (Anthony LaPaglia) and his wife Esther (Miranda Otto) lose their daughter (Samara Lee) in a tragic accident, they open their idyllic house to Sister Charlotte (Stephanie Sigman) and six giggling orphan girls. Samuel has since become the lumbering custodian in his own home, while Esther remains bedridden and, mysteriously, behind a porcelain mask. The story follows the two outsider orphans, Janice (Talitha Bateman), who is recovering from polio, and Linda (Lulu Wilson). They absurdly talk to each other like middle-aged friends, weathered yet closer for their shared years of parentlessness. When exploring the Mullins home one night, Janice finds the creepy Annabelle doll locked in a closet whose walls are lined with pages of the Bible. As you might imagine, opening the closet door unleashes the contained evil, releasing supernatural horror in various forms, including a particularly fearsome spectre. Sandberg exploits the rich locations around the house for atmosphere, from the expansive hills that create a sense of isolation to a dusty work shed and an ominous well. Early on, cinematographer Maxime Alexandre introduces the viewer to the house with an elaborate shot that maneuvers the rooms, assembled through editing to appear like an extended take. It’s a marvelous moment in an otherwise dull film. No matter how capable the formal delivery, the characters and situations in Annabelle: Creation feel emotionally hollow and regurgitated from better material. 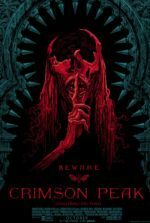 Unlike last year’s successful prequel Ouija: Origin of Evil (also starring Wilson), this female-centric spookhouse shocker plays in generic and silly, if not wholly laughable ways, as opposed to telling a story about characters we care about. And while a defusing laughter often accompanies this sort of material, it’s best employed when we’re not laughing at the film.